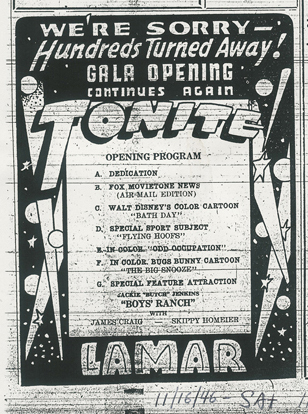 On November 15th, 1946 the Lamar Theatre opened its doors. It has been an anchor of downtown Lamar for over 60 years. 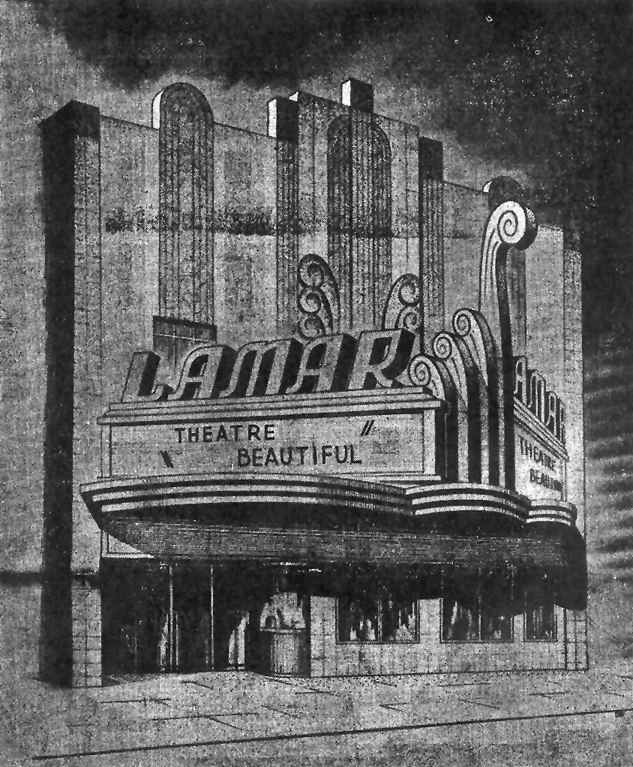 Although it was not built during the Art Deco time period, 1920 to 1939, the Lamar's architecture and styling is Art Deco. It has all the indirect lighting, neon, colored floodlights, curved edges and corners, chrome, mirrors, glass blocks, terrazzo flooring, pastel color schemes and murals with flowers and sunbursts that are characteristic of the Art Deco style. 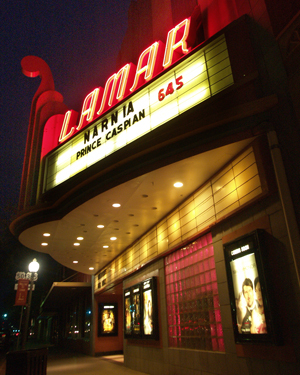 The Lamar Theatre was built by the Atlas Theatre Corporation, a company owned by C.U. "Charlie" Yeager. He owned the Atlas, Atoz and Civic Theatre Corporations. 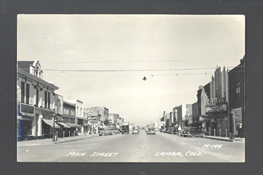 Mr. Yeager hired a prominent Denver architect Charles D. Strong to design and build the Lamar. 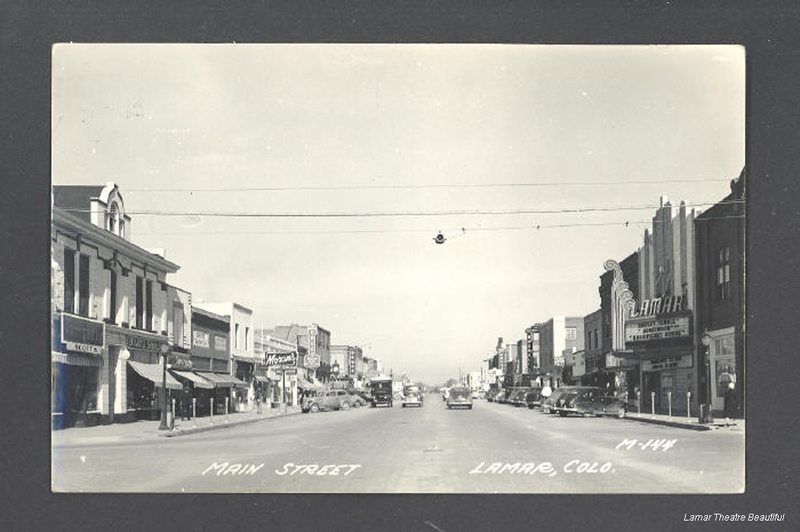 Mr. Strong designed a number of historically important buildings in the region, including eight buildings in the Sherman Street Historic District of Denver. The Theatre's decorative scheme was laid out for Mr. Yeager in Los Angeles and was executed by a Denver concern. 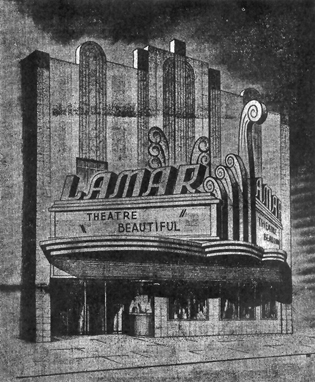 A national publication (Boxoffice Magazine) featured the Lamar for its unique architecture and design in a March 29, 1947 article. 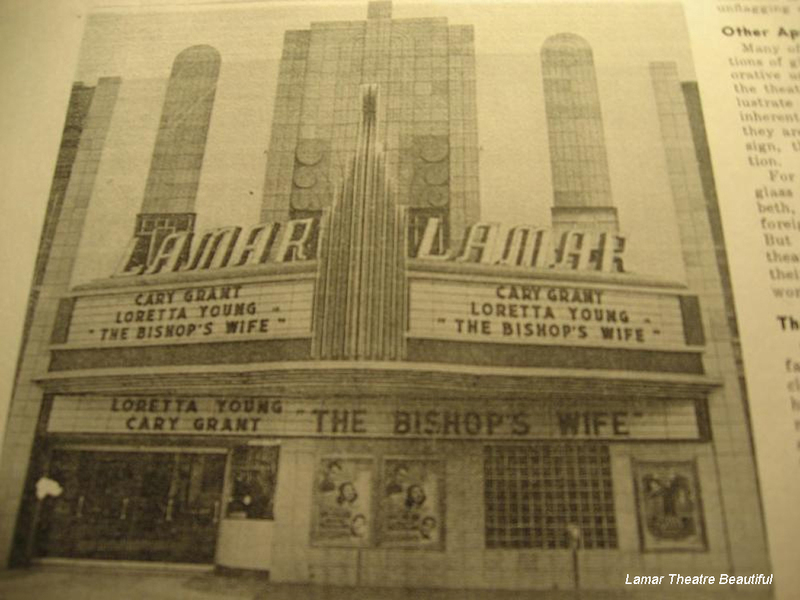 The Lamar was Mr. Yeager's first theatre and remained his "flagship". 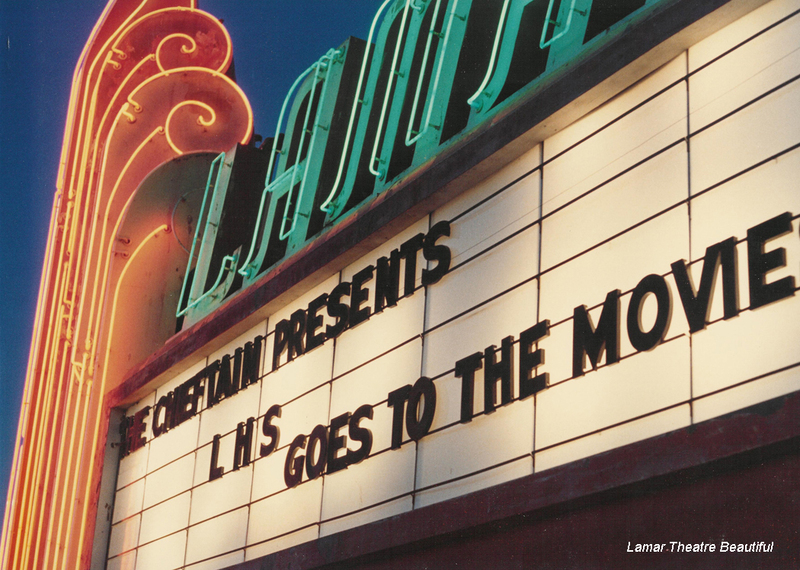 A longtime theatre manager for Atlas remembers a large photo of the Lamar above Mr. Yeager's desk for many years. Yeager's life story had elements of Horatio Alger. While working for Fox Inter-mountain Theatres as a district manager, Yeager devised the idea for a theatre promotion called "Bank Night". 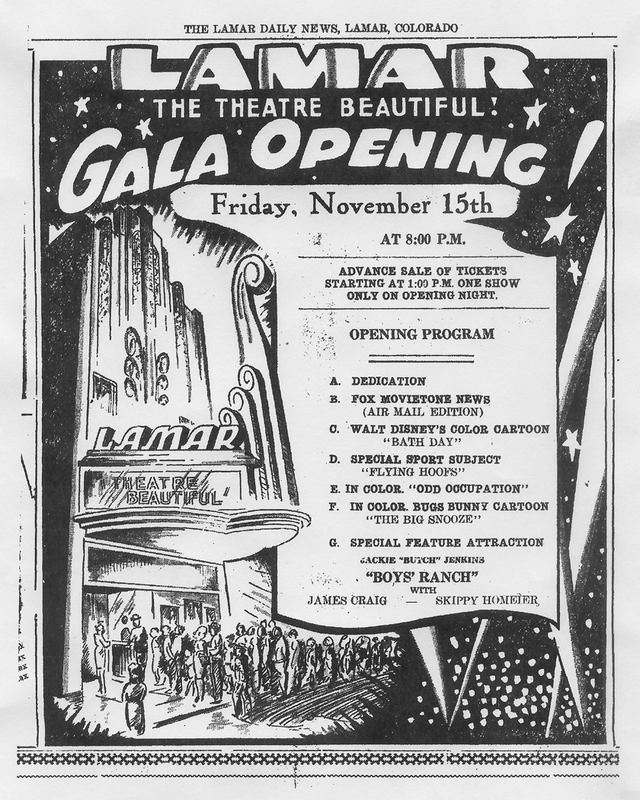 Bank Night "blossomed into an American institution" saving hundreds of theatres from bankruptcy during the depression. He started in the motion picture business as a small boy and eventually had not only theatres but a printing business, neon company, race horses and interest in a Las Vegas casino. 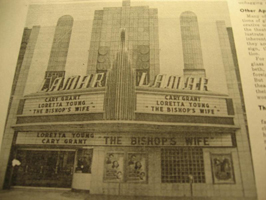 The Theatre was sold in 1979 after Mr. Yeagers death. Over the next 15 years the theatre changed ownership three times. 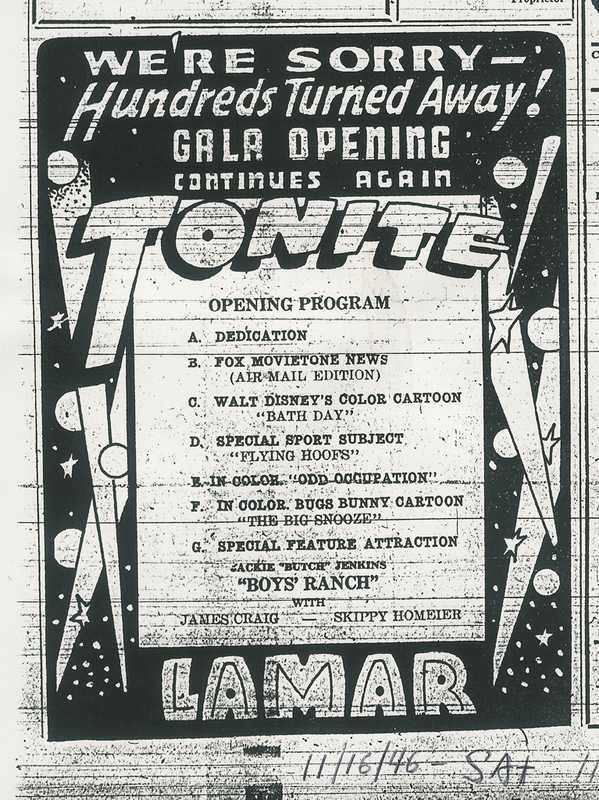 The Lamar is now owned and operated by the Ross family. 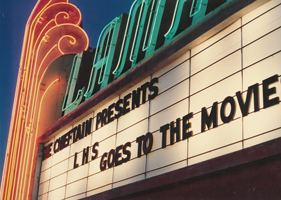 They purchased the theatre in December 1994. 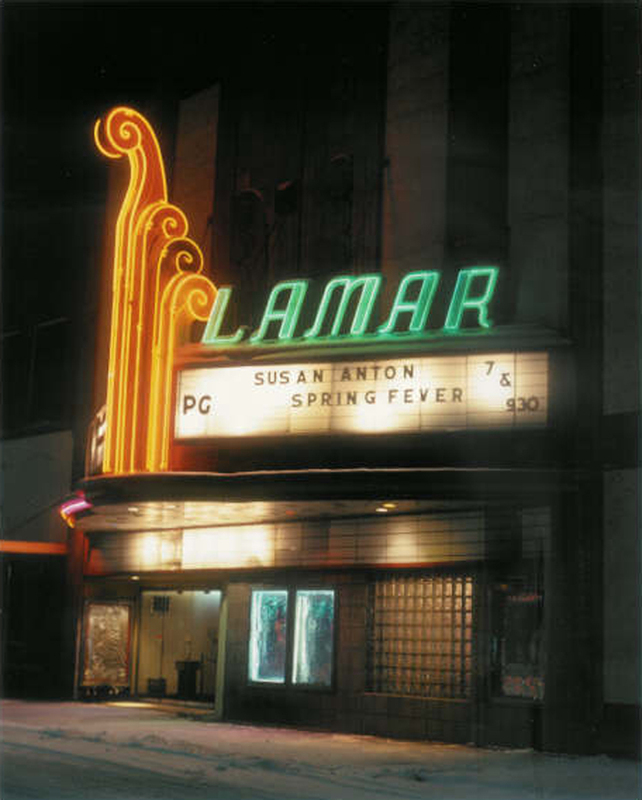 The Lamar is architecturally unique and is in remarkable condition for its age. Although the theatre has undergone numerous improvements and renovations over the past 20 years, it has retained its historical character and architectural beauty that theatres built today can not approach. The Lamar is the only theatre in the area and has remained highly popular and profitable for over 60 years.